Revolutionary impossible unbreakable tempered glass screen protector is world's one of the best tempered glass screen protector. What makes it impossible is that it cant be break in comparison to normal tempered glass which break when an impact takes place. It is Having highest transparency rate. Clarity is your biggest advantage using this screen protector. No other screen protectors will give you True display experience while protecting the surface from all of the life's reasonable dangers. 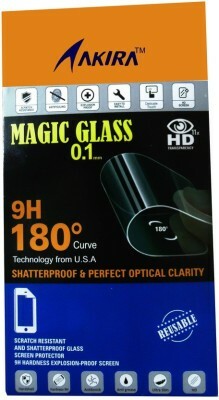 Further it is washable and reusable Enjoy vividness of your screen with impossible Tempered Glass. Which makes really IMPOSSIBLE to get your phone any Danger.